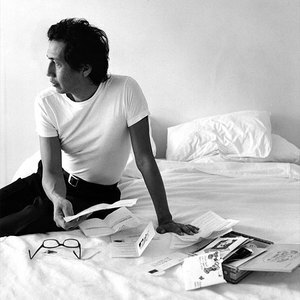 Alejandro Escovedo (born January 10, 1951, in San Antonio, Texas) is a Mexican-American singer-songwriter. Escovedo's family tree includes former Santana percussionist Pete Escovedo and Pete's daughter, Sheila E (also Prince's former drummer and later a pop star). He began his music career with The Nuns, a mid-'70s punk band based in San Francisco. He co-founded the pioneering cowpunk band Rank and File in 1979, which moved to Austin, Texas, in 1981 after a stint in New York City. Escovedo released a solo album in 1992 on Watermelon Records, Gravity, uniting his wide variety of styles; the album was produced by Stephen Bruton of Bonnie Raitt's band. Escovedo also began gigging periodically with the band Buick MacKane, who fused old-school punk with 70's glam rock; after Rykodisc released Escovedo's With These Hands in 1996, they followed it up with Buick MacKane's long-awaited album. After Escovedo parted ways with Rykodisc, he signed with the Chicago-based alt-country label Bloodshot in 1998, who released the live album More Miles Than Money: Live 1994-1996 and the acclaimed studio set A Man Under The Influence.